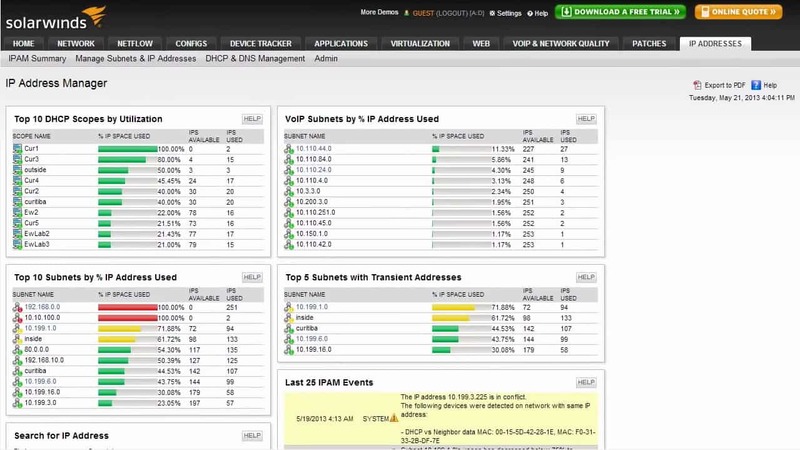 IPAM, IP Address Manager or sometimes interchangeably IP Address Management, is a Software that aids in the act, of managing IP Addresses in use, as well as tracking IP Addresses on a network. 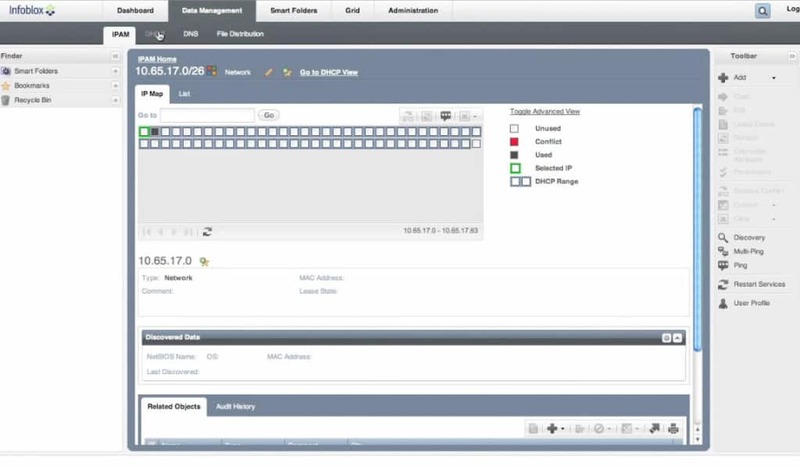 IPAM Software assists admins in handling the triage of DDI – DHCP, DNS, and IP addresses. Any network with more than ten users or so can quickly become quite confusing, particularly when adding in variables that will add to this – printers or other independent devices, folks bringing their cell phones into work with WiFi enabled that then connect to the network, and so forth! Sometimes it's sufficient to use a barebones solution like an Excel spreadsheet or similar to keep tabs on used addresses and reservations, but even for smaller organizations it's easy to see how this can fall short. Forgetting to update the list, or simply having several admins referring to the list with different plans or methods, all can create chaos and conflicts. 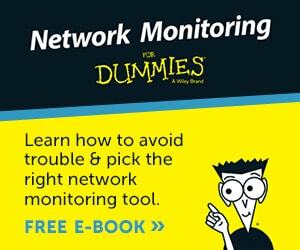 Worse yet it's quite easy for something small like this to cause significant outages or downtime of critical systems! As more devices pile onto the network it gets more and more likely for things to become disorganized, especially when attempting to handle it manually. IP addresses change or need changing, IPs get spread out and create wasted “sprawl”, and altogether become unnecessarily confusing. Fortunately there are many options, paid and free, that offer a wide range of solutions to this very issue that are scalable to almost any environment. Above are many of the shortfalls of manual IPAM and why it's important, and below are a handful of ways that IPAM software can really make this part of a network admin's life a lot easier. Many IPAM solutions offer a gambit of features that will swiftly remedy these issues while, at the same time, preventing future ones! Automatic discovery and analysis of network topography can quickly asses addresses used, ferret out unnecessary sprawl, find and resolve overlaps, all within mere minutes from a single system. 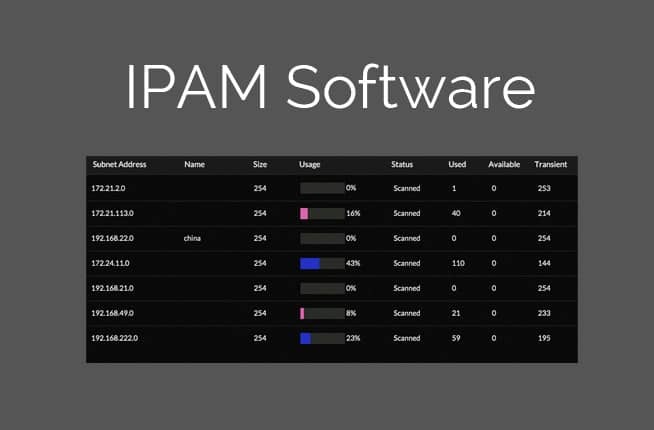 Looking forward, IPAM software can help ease the growing pains of an expanding network, or aide in transitioning fully from IPv4 to IPv6, for example. Some options for especially large environments include hardware appliances that perform incredible feats of IPAM due to their dedicated nature! Below is a list of a range of programs that do precisely what's above, and sometimes more, including both paid and free, as well as a few open-source selections to boot! 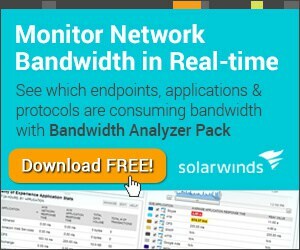 SolarWinds' offering is one of the most broadly robust for both enterprise level as well as smaller network environments. 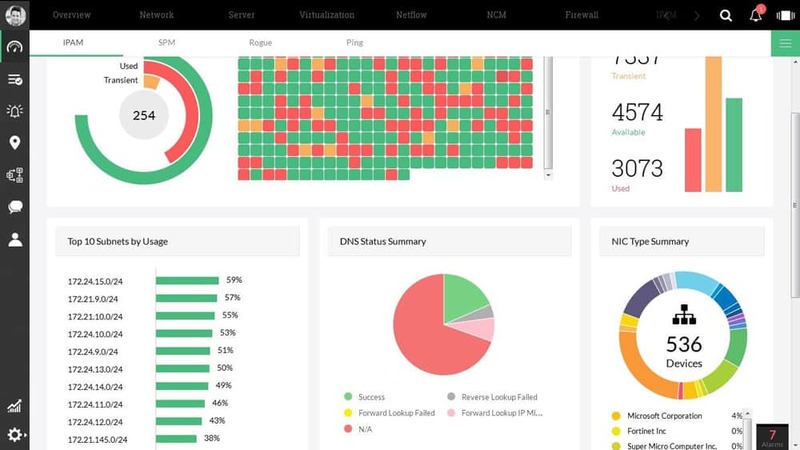 The IPAM beautifully and natively integrates with several other SolarWinds offering, creating an even more powerful and robust suite of software if a network environment includes those tools. The visual interface is excellent and swiftly discovers and arranges topography of devices with surprising accuracy, as well. Predictably, all the other basic functionality is included for avoiding IP sprawl, bring-your-own-device (BYOD) management, DHCP/DNS management and port forwarding, and plenty more. 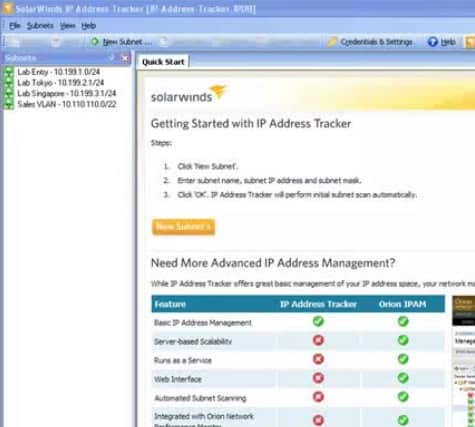 Additionally, SolarWinds' IPAM has excellent historical logging and archiving, making it easier to research ongoing issues or view network trends. 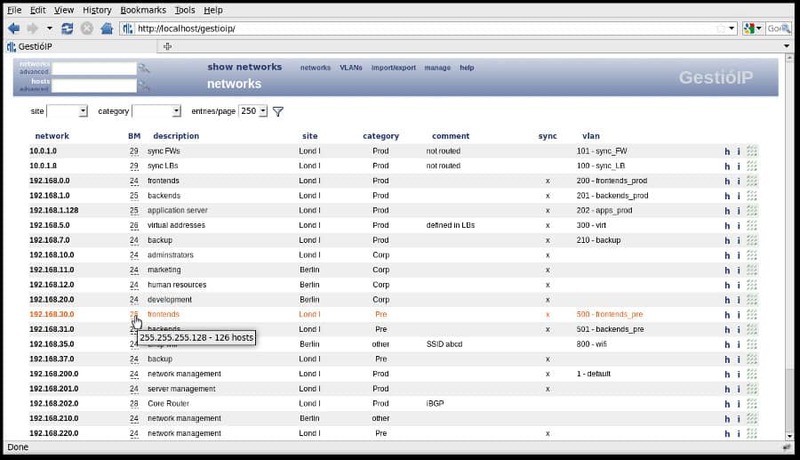 Also of note is the granular way in which admin permissions and network domains can be divided up. There's no need to worry about having to give too much, or struggle with giving too little, permission to any one admin or group of admins. It's remarkably easy to subdivide the network into manageable portions and, from there, assign different admins or admin groups different levels of permissions and command availability, which drastically can ease managing a large multi-building network with several IT departments working on a WAN. 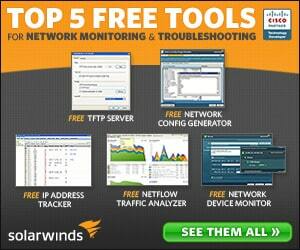 Solarwinds also provides a FREE IP Tracking version of their Software for managing up to 254 IP Addresses. Grab the FREE IP Address Tracker below! BT Diamond IP is unique in that they offer a full-on, fully-staffed managed solution. 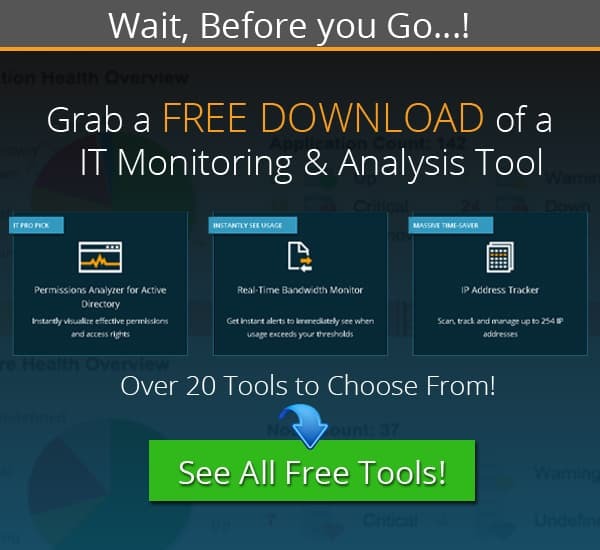 This may be ideal for those with a small IT department, for groups who don't really have a centralized and dedicated IT staff, or those who have an IT staff that is already just too busy taking care of everything else! Moving the workload of IPAM solutions to an external company with a full staff can save a great deal of time and effort while also, considering the cost of hiring an extra admin or two in comparison to BlueCat's service license, save a lot of money as well. Not an ideal solution for a network with very specific or ongoing needs or an environment that already has IPAM under control without an excess of workload to go with it. BlueCat's automatic discovery is particularly quick and accurate, snagging all the usual data such as IP Address, DNS/DHCP, DHCP lease, host records, and physical addresses, plus more! 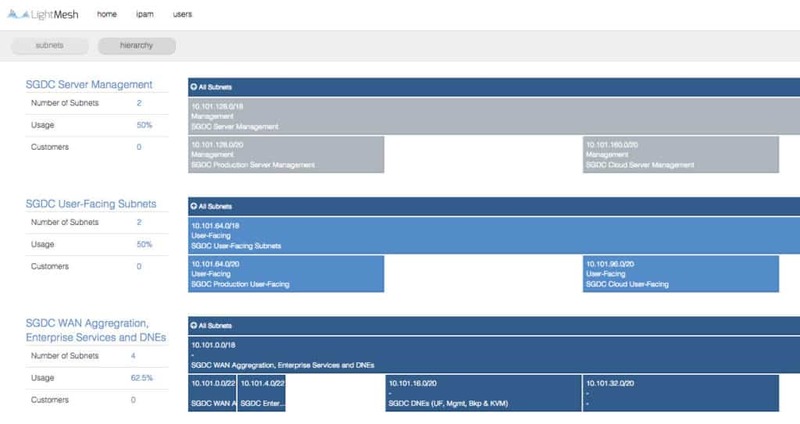 This software has a strong lean to enterprise environments however, especially the quirky situations in which DNS or IP configurations need to be constantly and quickly changed and adjusted – this pushes it strongly towards a web-service or datacenter role, but it more than pulls its weight in the right place. ManageEngine has recently jumped into the IP address management software realm as well with their IPAM add-on for their OpManager software. They, as many other software solutions in this list, provide all the various IP address related information that you would need at your finger tips in one place, including but not limited too DNS FQDN, Mac Address, System State and Name, Device Type and if integrated with their Switch Port Mapper add-on, which switch port its connected to. Other features that are included are Active Directory integration with computer accounts which subsequently can pull in additional information from active directory including GUID, Last Logon Time, OS Name and Version and a lot more information. 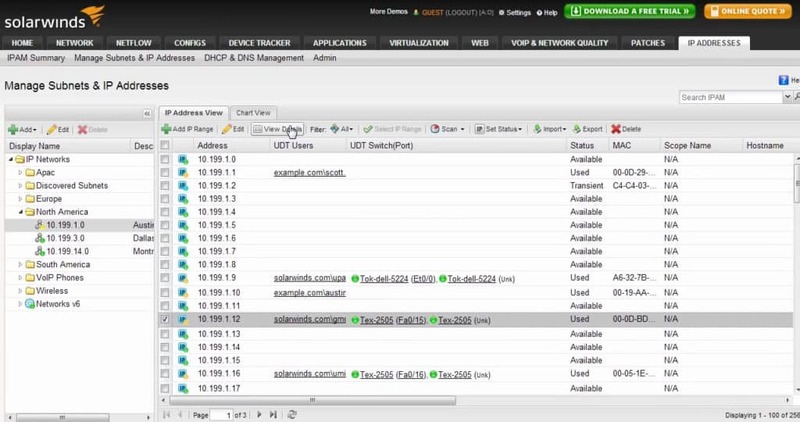 On top of AD integration, you have the functionality of “Historical” IP Address look-up for finding IP address information on a certain day and time for further investigate issues that arise. LightMesh's IPAM software boasts much of the same functionality as many other software options but it truly shines in regards to the UI. While normally this isn't something to exactly base a software purchase on it really does make the difference in this case. Having data and information available is keenly useful, but having it presented in a way that is intuitive is far more important, and that's where LightMesh does its job well. The GUI is well designed and the intelligent graphing and displays help immensely in filtering out unnecessary noise to make sure only the more important information is being relayed at any given time. Price: Online tour, no trial; $200 per Month for 2/User and 10,000 IP's. Men and Mice performs most of the basic IPAM needs with one strong emphasis – Active Directory! 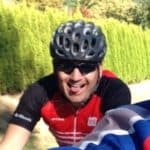 Any environment that leans heavily on AD and its API will benefit from a solution that is sensitive to this particular facet of a network – doubly so considering Men and Mice's scripting function which can beautifully speed up configuration and setup, as well as provide swift resolution via scripts for troubleshooting and outages. GestioIP, with its quirky accented name, is an excellent solution considering it's completely free! 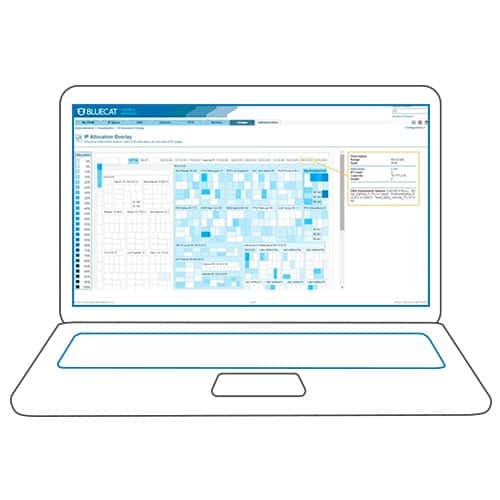 It supports a strong range of automatic discovery and mapping all from a web-based interface, making it easy to both view and manage your IPAM needs from anywhere on your network, if not remotely. Furthermore, GestioIP has a unique search-engine based method for network searching which gives an unusually powerful ability to perform intelligent searches. TCPWave's strength comes in the form of how endlessly scalable the technology is. Built upon a non-BIND base means that the IPAM methodology is somewhat different from usual while still bringing in the same features and functionality of other software and hardware solutions alike. Some options for IPAM will have a hard time making the jump from small office to big office, much less big office to a dozen datacenters, but TCPWave is more than capable of taking the leap with ease. Alcatel-Lucent covers a huge range of IPAM functionality – they offer a powerful software suite that hits all the big points of IPAM necessity while also having an appliance based solution. The trick here can be knowing, or at least figuring out, what exactly you need. The ability to start small, or even somewhere in the middle, and seamlessly add appliances and software as necessary to scale steadily upwards makes their offering especially tempting for a burgeoning network. Device42's approach steers away from general network IPAM services and more to handling large arrays of clustered machines and server racks. In particular it features automated discovery and organization of rack-based environments – this means a huge savings in regards to time for setting up proper topography. Many IPAM solutions will discover devices but don't always lay them out and connect them just right in regards to mapping, and that's where Device42 excels. Furthermore, it has native functionality for generating QR codes to facilitate easy identification for scanning and moving hardware about quickly! Price: Free trial, $1,499 for up to 1000 IP's. This particular choice is one of the many hardware options out there – they come with a hefty price tag but for a very good reason. The devices hook directly into your network and are interfaced with via web console and perform much the same tasks as any software or server based IPAM but do so with an even greater reliability. Hardware appliances like this free you from the constraints of client configurations and software installations – you need only drop it into your network's hardware setup and load up the interface to get your IPAM solution under way. The only real downside is that updates are sometimes a bit more cumbersome with hardware solutions, and it does introduce another hardware-level point of failure into a network setup. Price: Starts at $7,145 and goes up from there. This particular software is quite interesting as it began as a provider-level IPAM solution used internally by a major European service provider! This should suggest right away just how powerful and robust it can be – the flip side is that, due to being based on a custom internal piece of software, some parts of it are a bit more kludge-y than others, so to speak. None the less, it supports a wide range of features written in Python and is splendidly well documented. The develops even proudly proclaims itself to be the “best open-source IPAM in the known universe!” Until we come into contact with other life in the universe with powerful IPAM software, we'll just have to take their word for it. This is one of those programs that received a great deal of development and effort that eventually tapered off – many folks will say this happens in open-source readily for one of two reasons: something superior branches off or, in some cases, the program is simply “done!” IP Plan falls into the latter category – it's simple and bare-bones in regards to interface, but is virtually error free and perfect in execution. It's a bit restricted in its dependence on *NIX environments, but runs in a staggering range that reaches to Mandrake and even further.